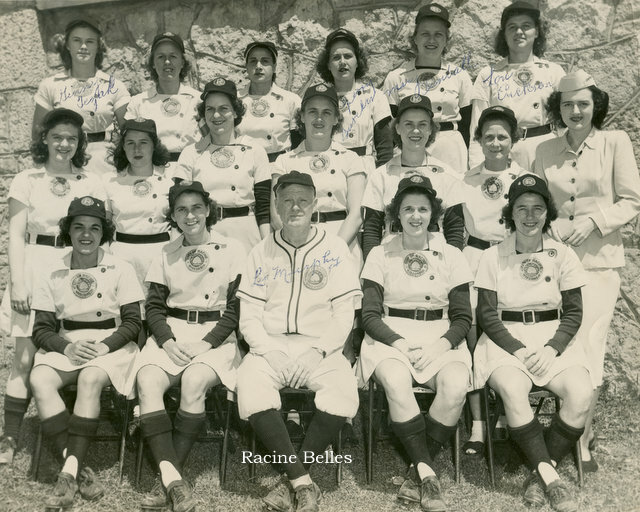 Racine Belles..wish I had a date for this one. 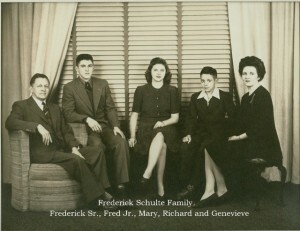 The picture belonged to my aunt. 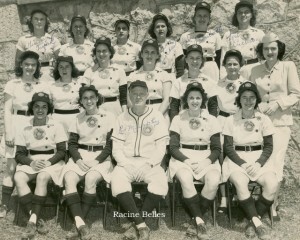 She was good friends with one of the girls on the team. 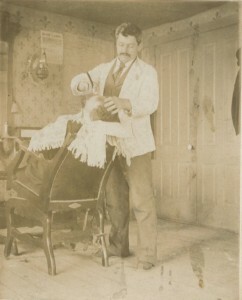 Miller Shoe Factory, Joseph Miller btm. 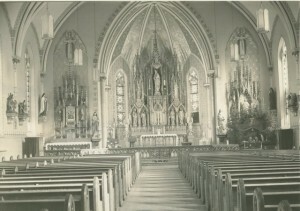 row standing, far left. 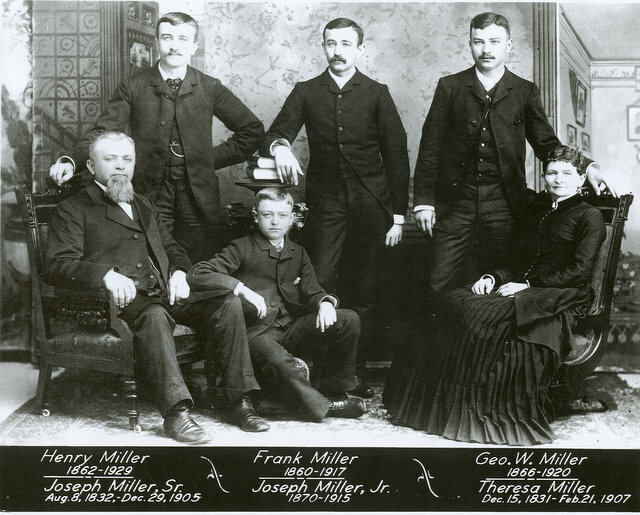 This is a picture of the employees of the Joseph Miller Shoe Co at about 1888. 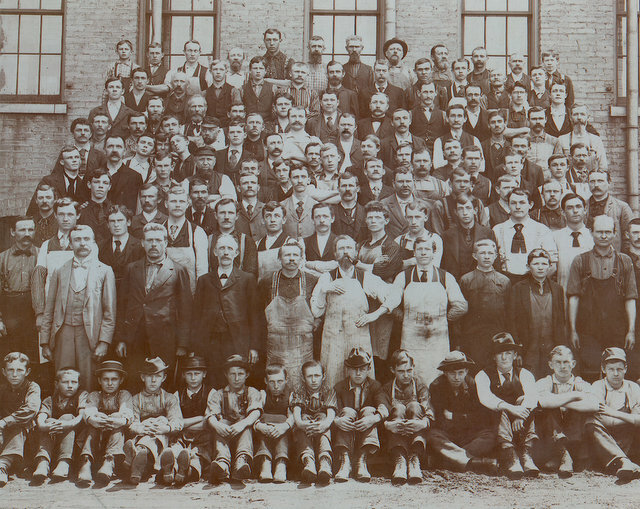 Joe Miller is on the far left in the bottom row (of adults) with the mustache and vest. 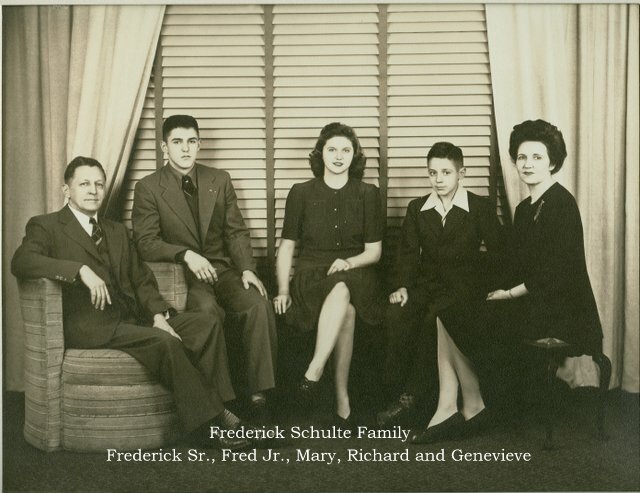 Charles Schweitzer (his partner) is in the middle of the same row…the guy with the pipe in his mouth. 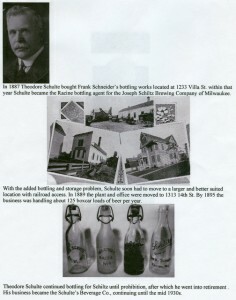 Charles Schweitzer married Joe Millers’s sister (my great-grandmother). 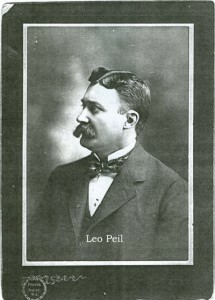 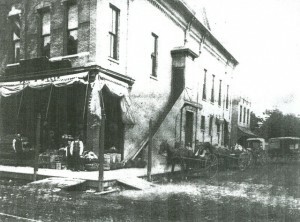 Peil and Miller store. 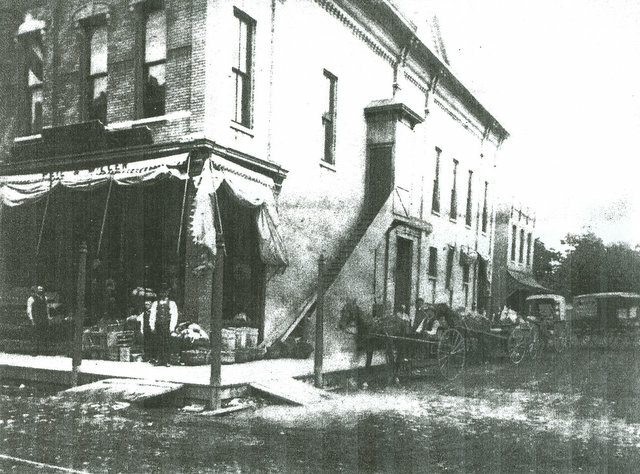 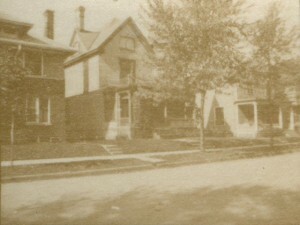 The photo of the Miller/Peil store at 321-6th St. was taken in 1887. According to the Racine Directory, that was the only year that it was Miller and Peil. 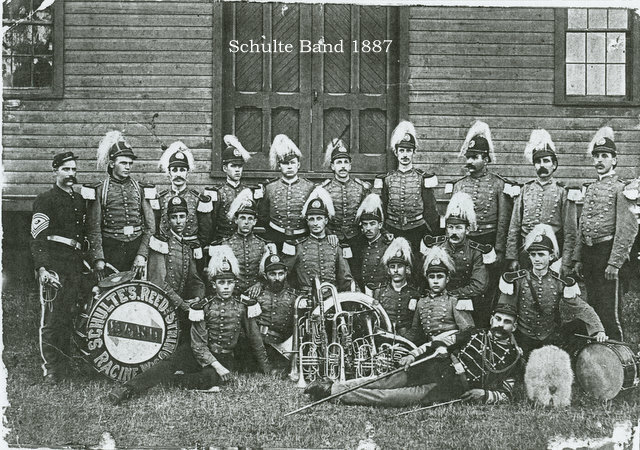 This is the Henry Schullte Violin Class 1899-1900. 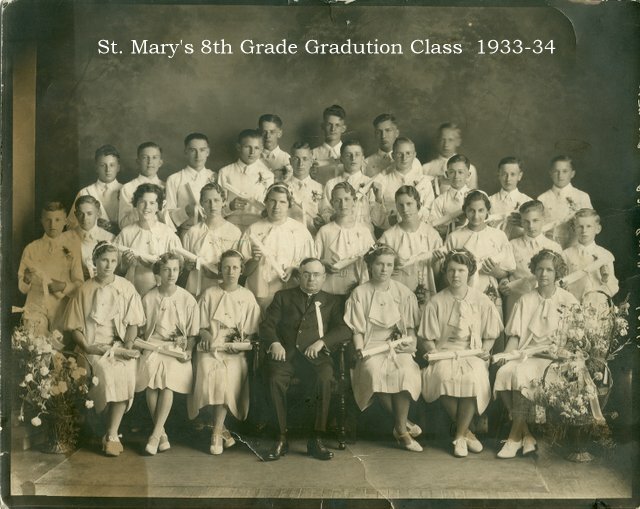 And that’s my grandfather Max Bernhardt in the bottom row, 2nd from the right, holding a violin. 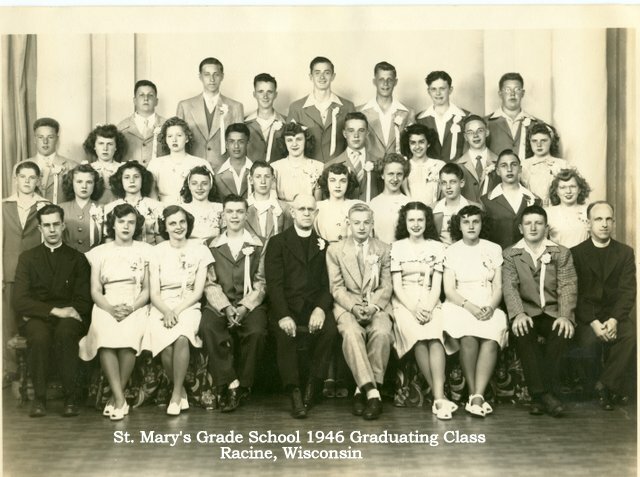 This is one of several pictures that was put in the Racine Journal Times when Henry Schulte passed away. 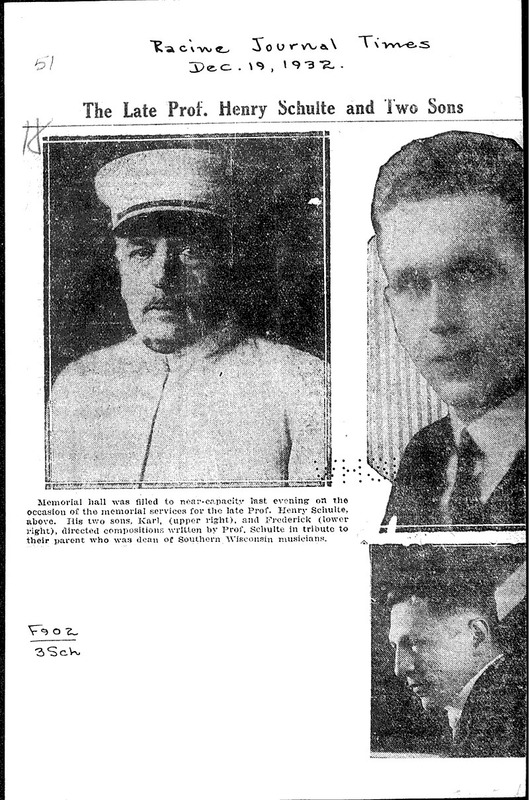 Another one that was in the Racine Newspaper at the time of Henry Schulte’s death. 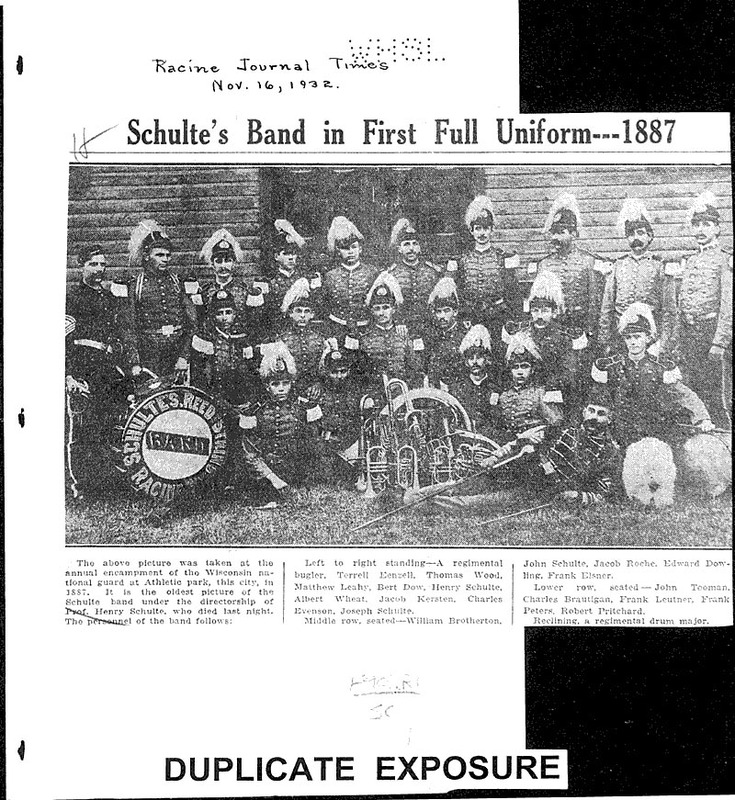 Schulte Band 1887. This is a better copy of the other one I sent you. 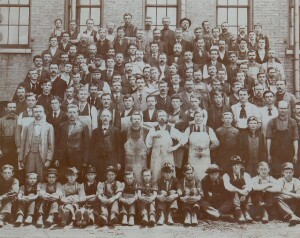 Henry Schulte is in the top row, 5th from right. 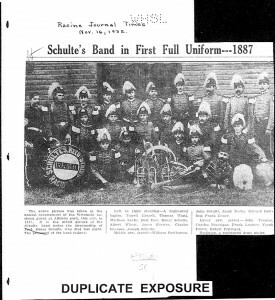 Joseph Schulte is in the top row, far right. 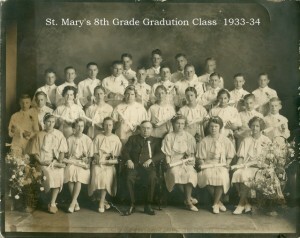 John Schulte is in the middle row, seated 2nd from left. 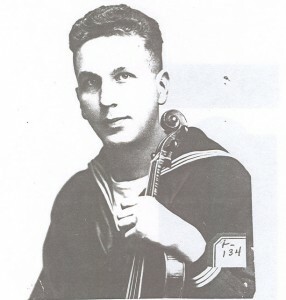 Karl Schulte Karl was a member of the Chicago Symphony Orchestra from 1917-1922, except for a period of World War service as band and orchestra conductor in the U.S. Navy. 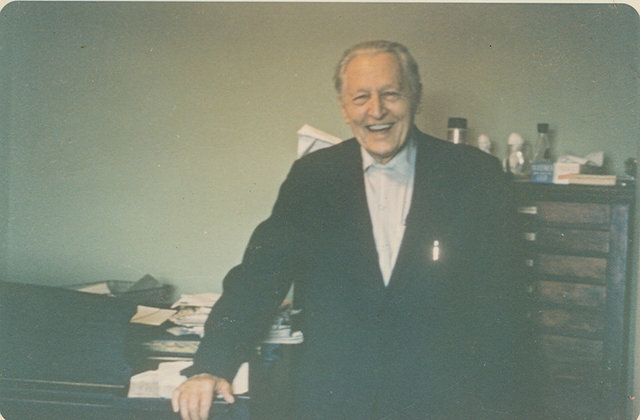 He left the Chicago Symphony Orchestra to give his full time and energy to the business direction of the Little Symphony Orchestra and Music Library of Chicago. 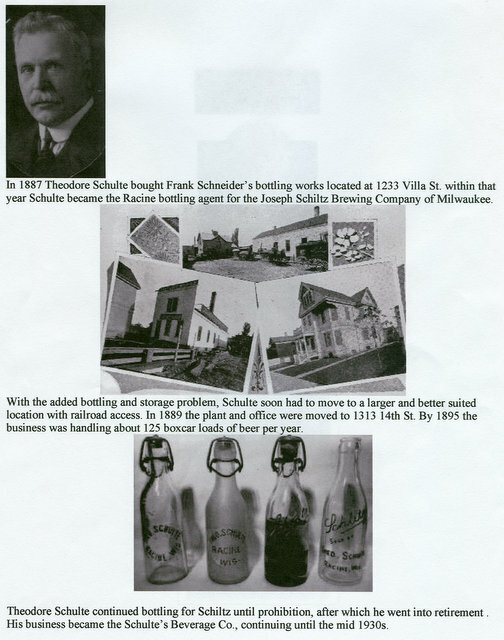 name is still on the top of the building at 13th and Villa in Racine. 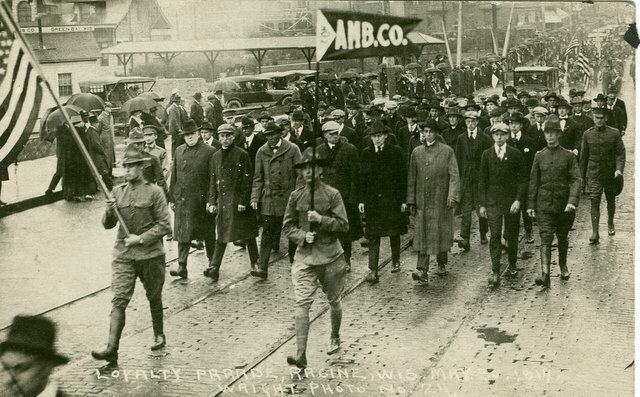 This parade was for the returning Ambulance Co. of which my Great- Uncle was a part of. 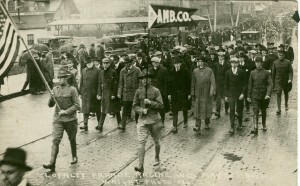 I think the date on the picture is May 1917.